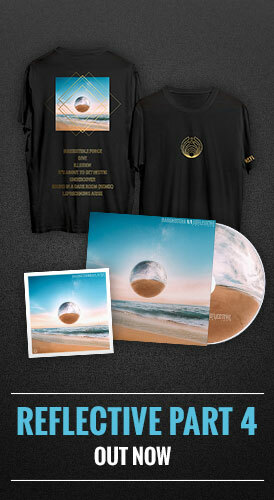 To celebrate the release of Into The Sun we are going to holding another online Listening Party event – except this time we are amping it up a bit! More specifically, we are going to listen to Mixtape 13, which comes with every download of Into The Sun, and is the brand new Amorphous Music mixtape you have been waiting for! ….and this will happen Flash-Mob style….broadcasting loud and proud wherever you may be. Just like our NVSB party last year, the simple idea is that we all press play at the same time and then join together online to share the experience, creating a feedback loop of music, emotions, and pixels that transcends 4-dimensional spacetime. Last year was beautiful, with thousands of bass heads connecting with each other through the music, and there were many magical mini-gatherings all around the world. This year we really want to encourage you to go all out: round up every living being you can find who has a working brain plus ears, and throw your very own Into The Sun event. Flash mobs, house parties, venue takeovers – we want to see it all! Like moths to a flame, gather your people around the largest, loudest system available. If your car has a killer soundsystem then for heaven’s sake blast it out! If you have been neglecting your friend with the biggest subwoofer in town, now is your time to send flowers and reconnect! If you have a mobile PA, bring the music to the people as is your duty! If you are a mystical being that draws energy through the power of listening to new mixtapes in large gathering, now is your time! We want this to be a happening unparalleled in the modern age. And if your party really raises the bar, maybe we’ll hook you up with a gift to say thank you for representing in such wild style 🙂 LET THE SPEAKERBOX BLAST, RATATAT-TAT!!!! 2) Make sure to give yourself time to download the new mixtape once it becomes available (6/30 @ midnight EST), especially if you ordered it in lossless from our website! Then just load it onto your devices and prepare your most trusted media player. 3)Ready your party in your very own style: gather and lather your crew, coordinate your flash mob troops, start your engines, venture deep into a lost civilization to rage with ancient spirits, etc. 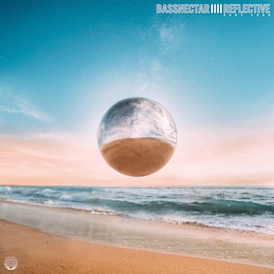 5) Join me on Twitter @bassnectar to chat and follow along as we listen together in real-time harmony. See you guys at 7pm on Tuesday! 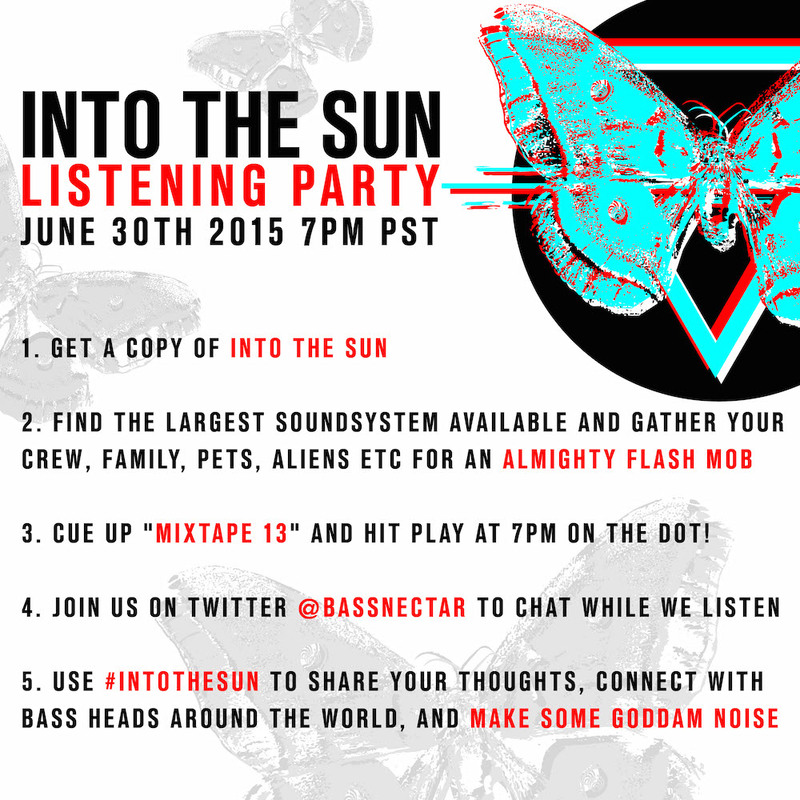 PS – For maximum hype levels, try not to listen to the mixtape until the Listening Party. Intensity!!! !